My skin gets on the drier side in winter season. I always make sure to hoard body lotions to keep my skin soft and moisturized all the time. Recently Himalaya came up with new range of body lotions that are enriched with a special hydra-nutri balance and a perfect blend of herbs. 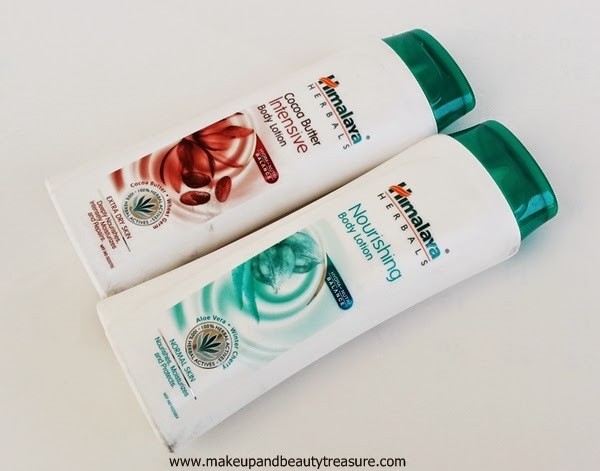 Today I am going to review Himalaya Cocoa Butter Intensive Moisturizing Body Lotion & Nourishing Body Lotion. The packaging is same as that of older version body lotions. 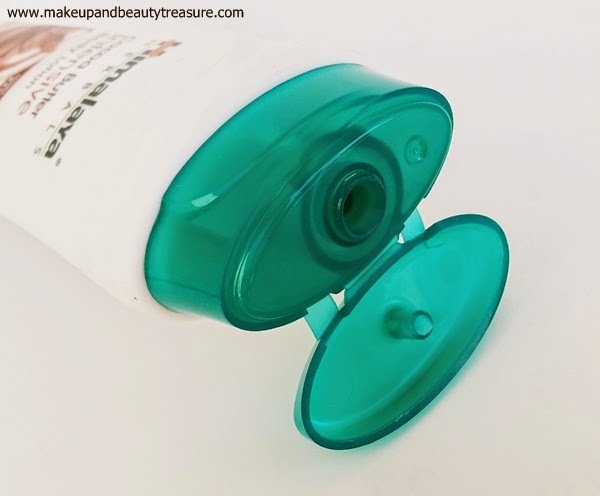 Himalaya Body Lotions come in a sturdy white plastic bottle with a dark green flip top lid. The packaging is quite neat and simple. 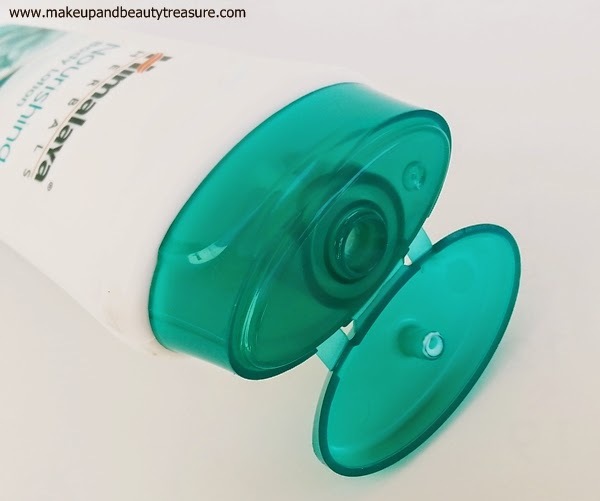 The lid shuts with a satisfying click and thus the bottle can be carried around in a handbag without any fear of leakage or spillage. 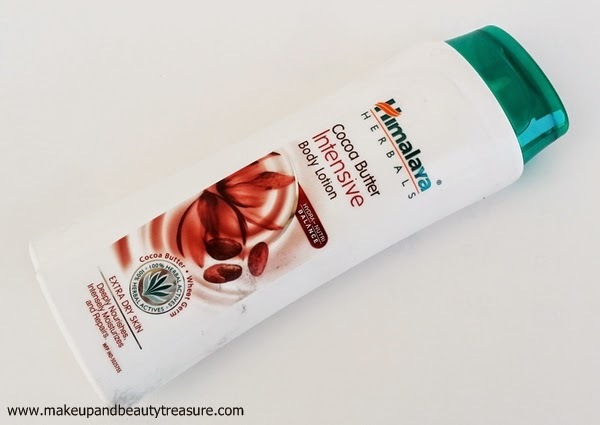 Himalaya Cocoa Butter Intensive body lotion smells of cocoa that is very yummy and sweet. 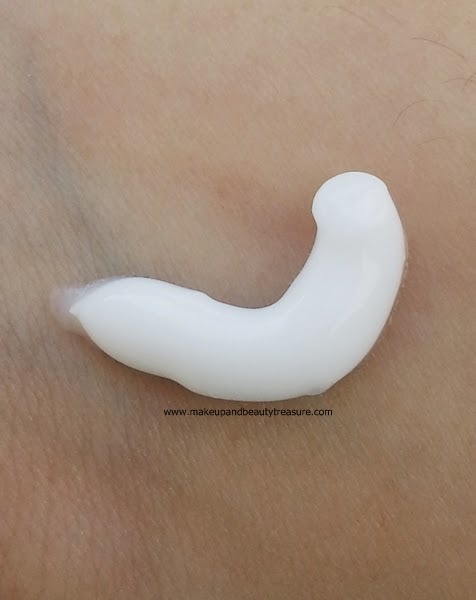 I had reviewed the older version of this body lotion HERE and its scent was a bit bitter. 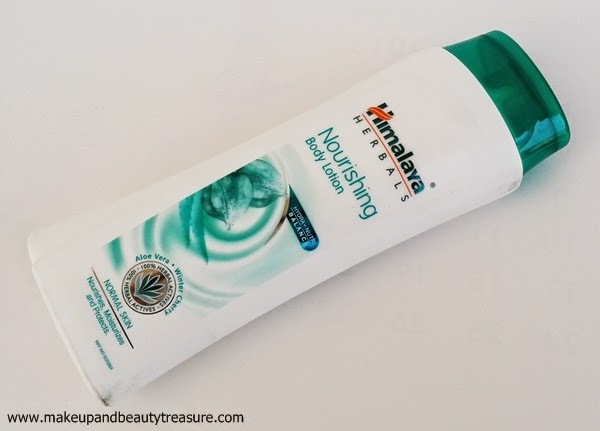 Himalaya Nourishing Body Lotion has a mild and refreshing scent of aloe vera that instantly wakes up my senses. The scent is quite mild and does not bother sensitive noses. Cocoa Butter Intensive body lotion is brownish white in color while Nourishing Body Lotion is pure white. 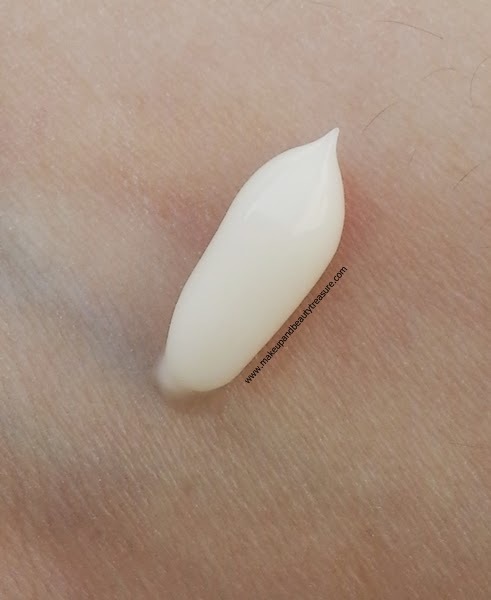 The texture of the body lotions is soft and smooth. They has fairly good consistency. They are neither too thick nor too runny. They are applied on the skin effortlessly. They easily and quickly absorb into the skin without leaving any residue behind. They leave my skin feeling soft, smooth and moisturized. After applying the product, I don’t feel the need to wash any remaining product from my hands. Although the lotion is lightweight but it would suit dry skin as well. The scent is fresh and lingers with me for quite a few hours. I don’t feel the need to reapply the lotion throughout the day (I have normal body skin!) but if you have extremely dry skin I think you would need to reapply it after few hours. As it does not contain sunscreen I make sure to apply one to protect my skin from harmful sun rays. Himalaya Cocoa Butter Body lotion is quite rich and more moisturizing than Nourishing Body Lotion. If you have extra dry skin then go for Cocoa Butter Body Lotion. The lotions are extremely mild and gentle and are suitable for daily use. They do not cause any adverse effects to my skin. They are quite effective for softening extremely hardened skin on the undersides of the feet especially Cocoa Butter one. • Lovely, refreshing and yummy scent. • Makes my skin soft, smooth and hydrated for a long time. 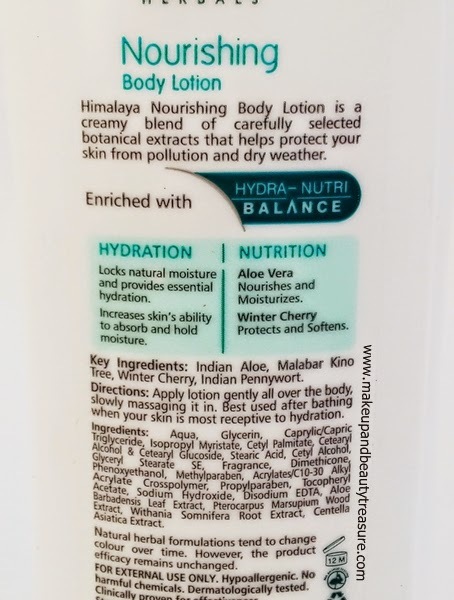 • Himalaya Cocoa Butter Intensive Moisturizing body lotion is great for extra dry skin. Himalaya Cocoa Butter Intensive Moisturizing & Nourishing Body Lotions are a delight to use in this chilly weather. They not only keep my skin soft and moisturized but have refreshing yummy scent. I am totally in love with these body lotions and would happily recommend them to everyone! 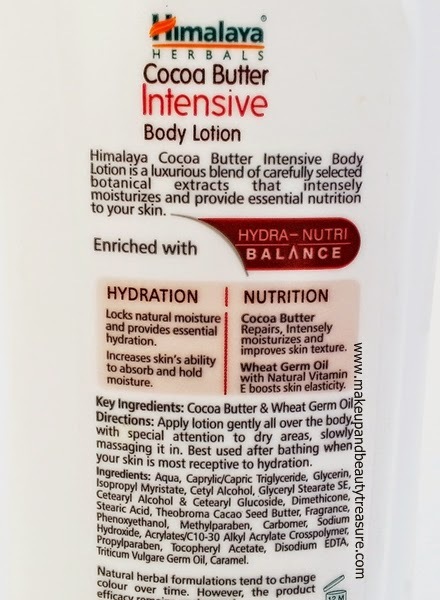 Have you tried Himalaya Cocoa Butter Intensive Moisturizing & Nourishing Body Lotion? How was your experience? Share in the comments section below! Wud purchase this as soon as im over with mine. Do try these dear. They are really moisturizing! I liked the chocho butter one. That one is really hydrating. Yeah Nieshu that one is more hydrating but nourishing one was also good on my skin! Love both ...I love the packaging too. I have not yet tried it, will check it out soon. Do try them this new range is superb :) Thanx sweets!